Photo recognition app Snowloop has been selected by Facebook for its FbStart programme, the co-founder of the company told TechCircle.in. As part of FbStart, Snowloop will receive credits worth $40,000 as well as services from Facebook and its more than 30 partners such as AWS, Dropbox, Adobe and MailChimp to name a few. Ludhiana-based Snowloop was founded in October 2016 by brothers Mohit Gupta and Rohit Gupta. While Mohit is a college dropout, Rohit is currently pursuing his studies from Punjab Technical University. The Snowloop app, run by Data Byte Space Services Pvt. Ltd., uses artificial intelligence to give short descriptions of photos, making it easier for the user to search for them later. 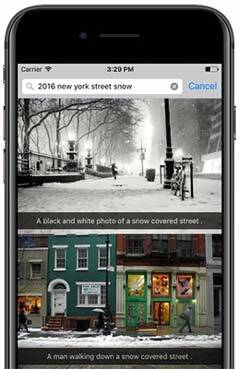 "Snowloop makes the contents of the photo searchable. For example, if you click a picture of a calendar, even the text written on it will be searchable," explains Mohit. The app, which was launched on the App Store 10 days ago, has 2,000 downloads at present. "The launch of the Android version of the app is slated to be launched by February this year," said Mohit. Earlier this week, Facebook had picked three more Indian startups for FbStart: rental platform SimplyMoveIn, skill-based networking app Skillmate, and social platform for investors and traders Talkoot. In December last year, dating app Heartonnect, operated by Trigbug, was selected for the programme. Other startups selected for the programme include entertainment content aggregator Flickstree, tutor enablement platform XPrep, travel tech startup Triporb, used-apparel reselling platform CoutLoot, micro learning mobile platform Knudge.me, content discovery social network Flicksup, immunisation management platform vImmune, peer-to-peer content platform of moms and moms-to-be Healofy, and job search and educational content platform JobSenz. These startups will get an opportunity to connect directly with the Facebook team and will be enrolled into the social media giant's exclusive community of global startups that include Adobe, Coursera, Dropbox, and Salesforce.